As the first airport Gothenburg can now offer Meganews Magazines to its visitors. The new print-on-demand kiosk unit now appears at Landvetter Airport, Domestic Departures. Management as well as passengers has embraced the new concept with a large interest. Reading when travelling is obvious to seasoned travelers and, despite the success of tablets and e-books, the general operator of Swedish airports Swedavia recognizes a growing demand for periodicals and magazines – accordingly assuming that vending machines can act as a compliment to existing outlets on the airports. – We expect Meganews Magazines to improve our customer service, says Charlotte Ljunggren Chief Operating Officer at Landvetter Airport. Swedavia tries to become an international example of climate focused airports, so testing an alternate way of magazine distribution is clear logic to us. Being both innovative and sustainable this concept fits well into airport environments. On developing the concept the founders had an early vision for airports and travel environments. Large flows of people combined with terminal intermissions and time to spend create favorable circumstances for media marketing. – We are certainly very motivated to continue along these lines, launching our vending units in several airports going forward, says Lars Adaktusson, Meganews Sweden AB. It is a privilege to cooperate with Swedavia whom I´d like to credit for their enthusiasm for innovations and sustainability. 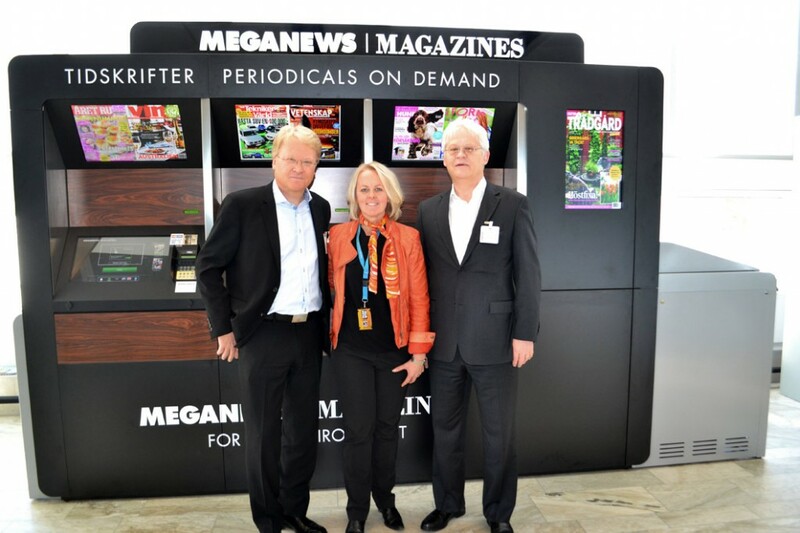 – We expect Meganews Magazines to improve our customer service, says Charlotte Ljunggren Chief Operating Officer at Landvetter Airport – here together with the founders Lars and Hans Adaktusson. 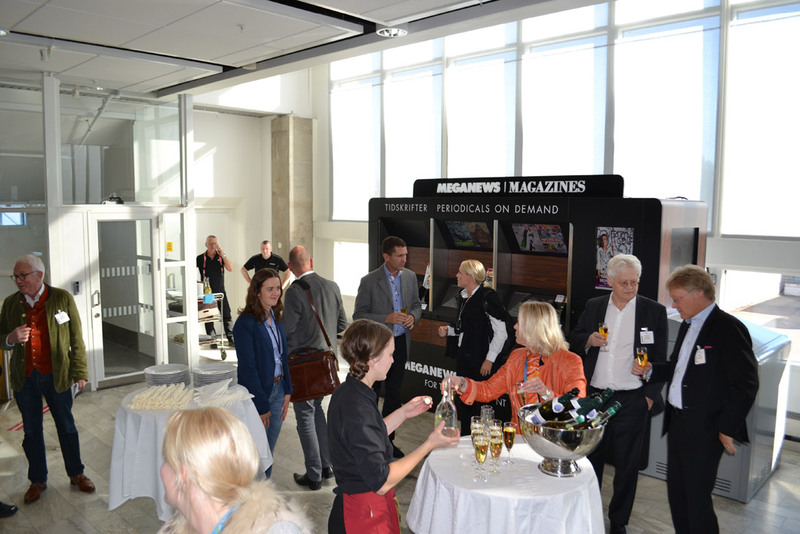 Opening event for Meganews Magazines takes place at Landvetter Airport. The automatic newsstand kiosk is now installed at Domestic Departures.